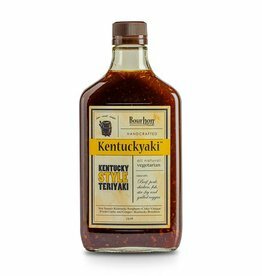 Home / Spicy Kentucky-aki 375 ml. 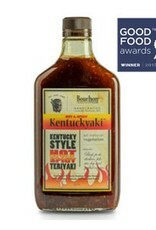 We now have a Hot & Spicy version for one of our favorite products, Kentuckyaki! Flavored with fresh garlic and ginger, sweetened with pure cane Kentucky sorghum, we’ve added red pepper to give this sauce some heat! This all-natural and preservative free sauce is delicious on all meat, poultry and seafood. Use as a finishing sauce on vegetables as well! 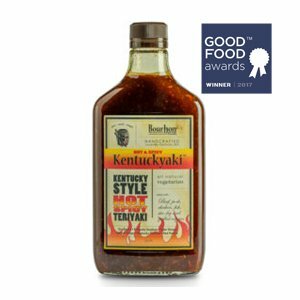 We are happy to announce that our Hot & Spicy Kentuckyaki is the winner of the 2017 Good Food Award! !